Thanks to the tireless efforts of film legend Martin Scorsese in preserving our cinema history, Visconti’s epic of gritty social realism and almost operatic melodrama returns to celluloid glory at this year’s LIFF. One of the Big Three of Italian film releases from 1960 (alongside Antonioni’s L’avventura and Fellini’s La dolce vita), Rocco and His Brothers is a cataclysmic family saga charting the desperate attempts of impoverished Southerners to seek a better future in the Industrial North of Milan. The stories of the five fratelli as they fall victim to corrupt forces are elegantly steered to an explosive finale that is sure to still leave audiences reeling. Featuring a score by Nino Rota, an impossibly handsome cast led by matinee-idol Alain Delon and newcomer Claudia Cardinale, Rocco and His Brothers is nothing short of a majestic cinema experience. Two previously censored scenes have been incorporated into this restoration offering an opportunity to see the film like never before. Luchino Visconti’s masterpiece can be experienced once again in all its fearsome beauty and power. 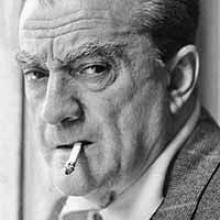 Born in 1906 in Milan, Luchino Visconti began his filmmaking career as an assistant to Jean Renoir. He was part of a wealthy, aristocratic family but became renowned for the strong Marxist ideology expressed through his films. His work includes Obsession (1943), Senso (1954), The Leopard (1963) and Death in Venice (1971).